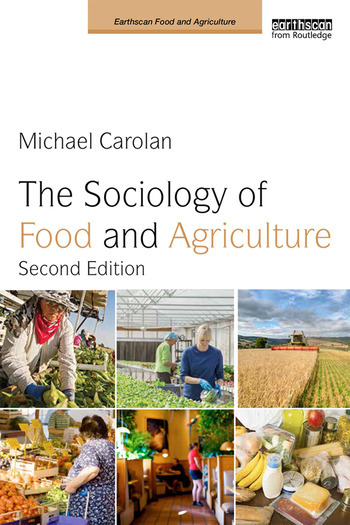 In this second edition of The Sociology of Food and Agriculture, students are provided with a substantially revised and updated introductory text to this emergent field. The book begins with the recent development of agriculture under capitalism and neo-liberal regimes, and the transformation of farming and peasant agriculture from a small-scale, family-run way of life to a globalized system. Topics such as the global hunger and obesity challenges, GM foods, and international trade and subsidies are assessed as part of the world food economy. The final section concentrates on themes of sustainability, food security, and food sovereignty. The book concludes on a positive note, examining alternative agri-food movements aimed at changing foodscapes at levels from the local to the global. With increased coverage of the financialization of food, food and culture, gender, ethnicity and justice, food security, and food sovereignty, the book is perfect for students with little or no background in sociology and is also suitable for more advanced courses as a comprehensive primer. All chapters include learning objectives, suggested discussion questions, and recommendations for further reading to aid student learning. 9. Agroecosystems and the Nature of "Natures"
Michael Carolan is Professor and Chair, Department of Sociology, Colorado State University, USA. He is the author or co-editor of several other books including The Real Cost of Cheap Food, Reclaiming Food Securituy and Cheaponomics: The High Cost of Low Prices, all published by Routledge.